Why Choose Madison River Fly Fishing Outfitters? “Rob Domico, owner of Madison River Fly Fishing Outfitters, organized and executed a corporate fly fishing weekend for us a few years ago. The trip was planned and organized down to the smallest detail. Rob is not only an extremely knowledgeable guide he has a great, easy going, fun personality! Fun and great fishing were had by all who attended! Stop by Madison River Today and See What's New at the Shop! 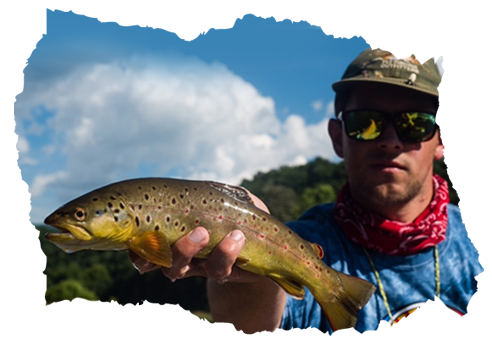 Whether you are new to fly fishing and looking for some practical advice, or an experienced angler, looking for the latest gear and apparel, Madison River Fly Fishing Outfitters has exactly what you need to get out on the water. We offer a world-class guided service, as well as all of the gear that you need to get outfitted. Drop by the shop today and check out our products. If you have questions or comments about the products and services we offer, feel free to contact us. We have staff members ready to accommodate you from Monday through Saturday.